They are located directly across from the flashing lights of Make:Labs’ Nuclear Fuser. The pew-pew-pew of ray guns is in the air. But Sugru, the humble, quiet “self-setting rubber” is managing to attract quite a crowd at Maker Faire. It makes sense: in the epicenter of geeky tech culture there’s a need, and a desire, for something rubbery that you can mold with your fingers. People use it to add bumpers to cell phones, cover fraying cables, and patch up dozens of random, techie things. 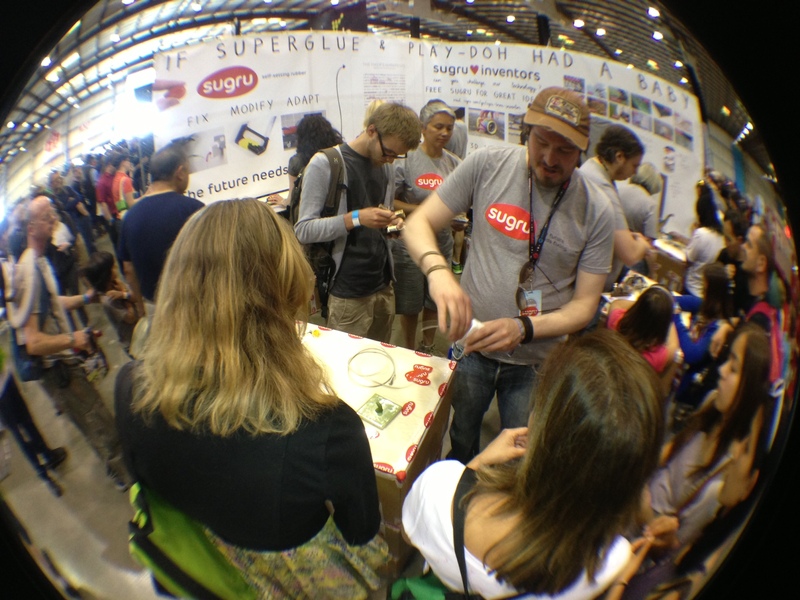 But Sugru is also finding a customer base among professionals. In the Sugru booth, James Carrigan, co-founder and “chief sugru guru,” points out how the inventor of a new soldering product used Sugru to stabilize the tips on the prototypes. A user of a PanaVise vise used Sugru to create a drill interface that sped it up considerably. PanaVise engineers are also using Sugru. We know this because we visited their booth a Maker Faire, and there it was — a long collar of purple Sugru helping to hold an alligator clip to a flexible arm in a mini circuit board holder. 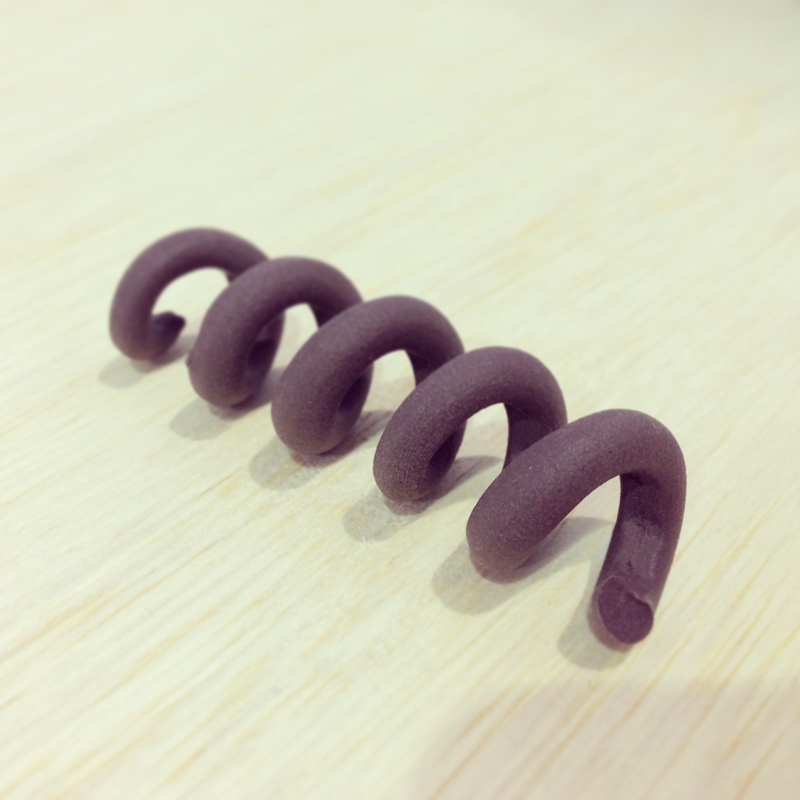 “We love Sugru,” one of the company’s engineers said. Sugru is available in the Maker Shed.